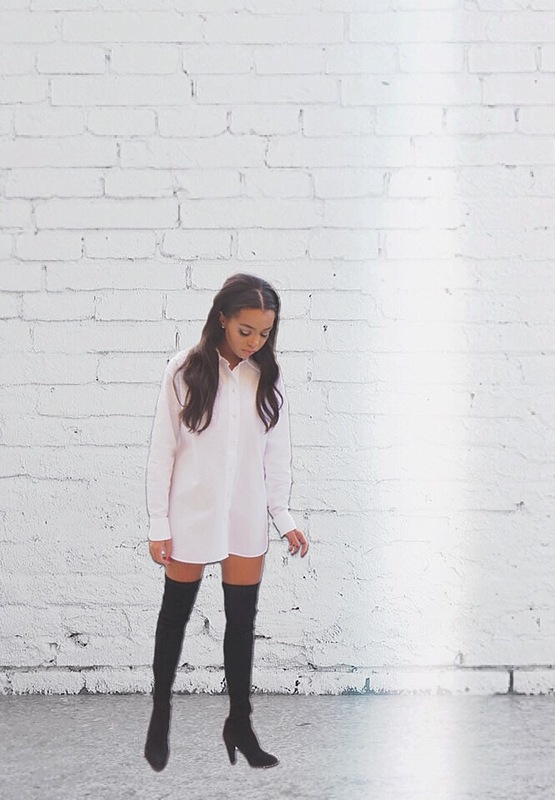 It’s a Dress..It’s a Shirt…It’s a Shirt Dress! It’s not a bird or a plane, but it is a shirt dress. These versatile garments are an age old classic, but these days they seem to draw quite a bit of attention especially when paired with my new favorite boots. My friends all say things like “you look amazing” or “Oooo so hot” but all their parents seem to want to know is “are you wearing something underneath of that?” I of course reply yes, I am wearing shorts, whether or not that is true (please don’t tell on me). The great versatility of these magical items is that they don’t have to be a dress, the options are unlimited. You can wear it the traditional way or you could button only the top few and throw on a pair of leather pants and your favorite Louboutins. You could pair a little mini skirt underneath and some pointed toe flats or you could even try one with a pair of culottes (while they are still on trend). Although the shirt dress is ridiculously simple they are still what I consider to be the epitome of chic. Previous Post Boots of the Ceinture..
Next Post It’s called Vamp not Werewolf..